Appearance: Snakes look like snakes in our world. They aren't bipedal because they don't have legs and they don't wear clothes. Life Span: Snakes, or at least Asmodeus, live quite a long time. Typical Personality: Snakes may or may not be sentient. In Redwall, the adder Asmodeus was sentient- and cold-blooded and deadly evil, as well. But he was the only snake in the series to say anything- the others could simply be dumb animals for all we know. Appearance: The adder is small and stout with a zigzag pattern on its back. It rarely grows long than two feet. 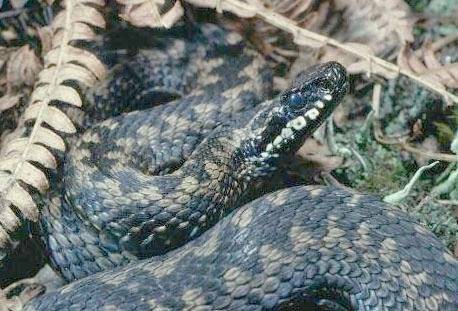 Diet: The adder uses its venom to catch its prey, which are usually small mammals and lizards. Habitat: Vipers are typically found in heathland and moorland but can also be found in grasses and scrubs. Typical Personality: Vipers are very timid and will usually flee rather than attack attackers, but will bite in defense if they have to. Habits: Adders hibernate in the winter. Life Cycle: Female adders do not breed every year- they need one year between breeding to recuperate. 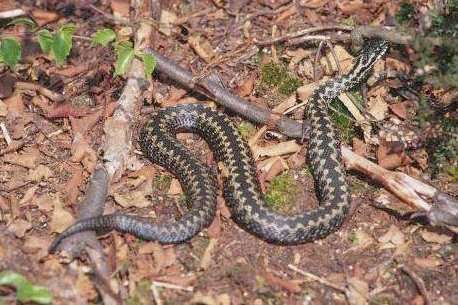 Unlike most snakes, adders are born live rather than in eggs, and six to twenty young are born in each litter around the beginning of September.